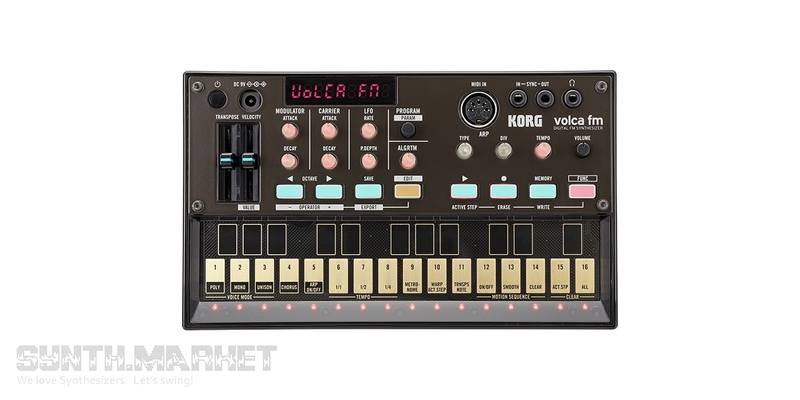 Recently released Korg volca fm is a portable version of the legendary Yamaha DX7 which made a lot of noise on the market back when it was launched. The successor tried its best to adopt the maximum of possibilities incorporating all the features in a more compact design. 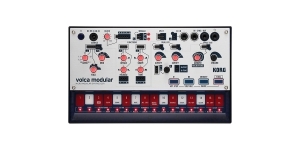 It can be easily integrated with other electronic instruments. Its sound engine is all about the frequency modulation synthesis. 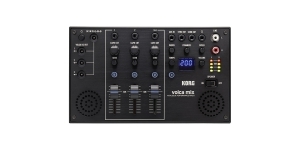 It should be noted that volca fm is capable not only of its spiritual predecessor sound space revival, but introduces an individual set of new, more powerful functions. Obvious improvements concern the easier programming than that featured in DX7. The new interface makes it much simpler to create your own sounds from scratch. FM synthesizer allows storing up to 32 presets. Like DX7, the synthesizer includes 6 operators with a range of 32 algorithms which skillfully synthesize ringing metallic tones, punchy basses and eccentric effects. 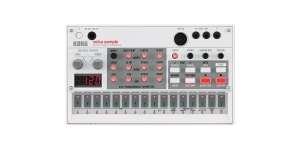 The step sequencer is combined with curious parameters. 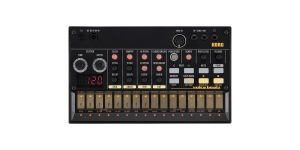 It offers up to 16 tracks managed by Active Step, Pattern Chain or arpeggiator (3 Rise, 3 Fall, 3 Random). In the left part of the front panel there are main sliders and knobs: transposition, velocity, modulator and carrier. A low-frequency oscillator (LFO) is also located here. There are ports to the right at the top: MIDI IN, Sync Out, audio output for headphones (3.5 Mini Jack). It is worth noting that all interface parameters, from transposition and velocity to modulator and carrier can be automated. It is impossible not to mention the unique ability of adding original DX7 patches. Moreover, countless presets can be found on the Internet. To everyone's surprise, the polyphony of a tiny monster features only 3 voices, but among the modes there are: Poly, Mono and Unison. As a nice bonus - built-in chorus which adds a lush sound in the style of the 80's. Analogue (A), Production start: 2018. 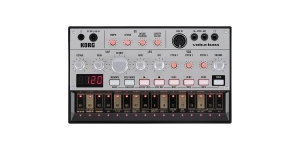 Rhytm/ Drum Machine, Analogue (A), Voices: 1, Monophonic, Production start: 2016. Rhytm/ Drum Machine, Digital (D), Voices: 6, Production start: 2019. Modular System, Analogue (A), Voices: 1, Monophonic, Production start: 2019. 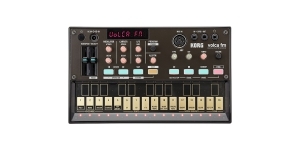 The line of volca devices from KORG, a legendary japanese company, is probably the most balanced and functional in the segment of portable and inexpensive music creation tools. These are truly original products, combining the best ideas of synthesis and sampling of the last century with a convenient, intuitive design and nice sound, for their price. FM synthesis is revitalized last years with the advent of a large number of new instruments, starting with cheap KORG volca FM and ending with the top Yamaha Montage. At the NAMM 2018, Elektron introduced its new synthesizer - Digitone, which offers its own version of multi-engine synthesis. Read further about the features of the Swedish company's new tool. 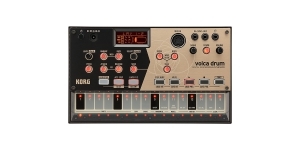 The new microKORG is very attractive. White housing, light wooden sides. 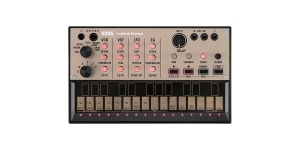 And the same technical basics microKORG used to feature back in 2002 – 4 virtual analog voices and a standard set of functions. 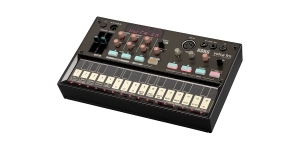 Meanwhile volca series keeps on growing and announcing new “family” members. 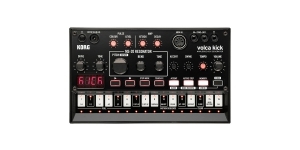 This time it’s a kick drum generator called volca kick which sports the MS-20 resonant filter copy onboard as well as the new Touch FX function.